This observation shows fractured mounds on the southern edge of Elysium Planitia. The mounds are typically a few kilometers in diameter and about 200 feet tall. 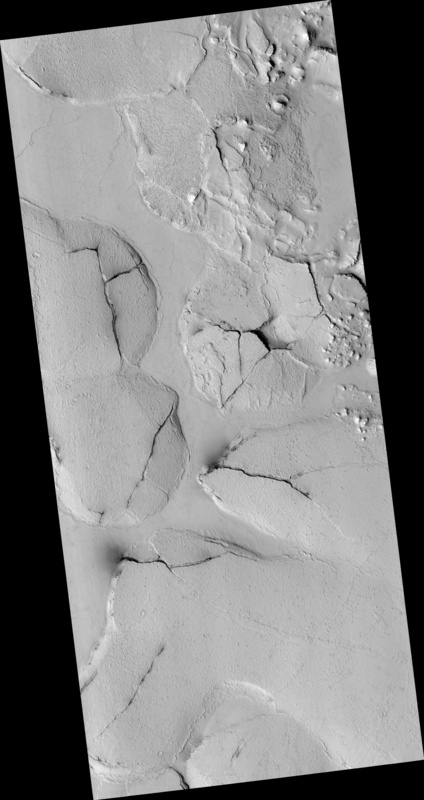 The fractures that crisscross their surfaces are dilational (extensional) in nature, suggesting that the mounds formed by localized uplift (i.e., they were pushed up from below). The mounds are probably composed of solidified lava. 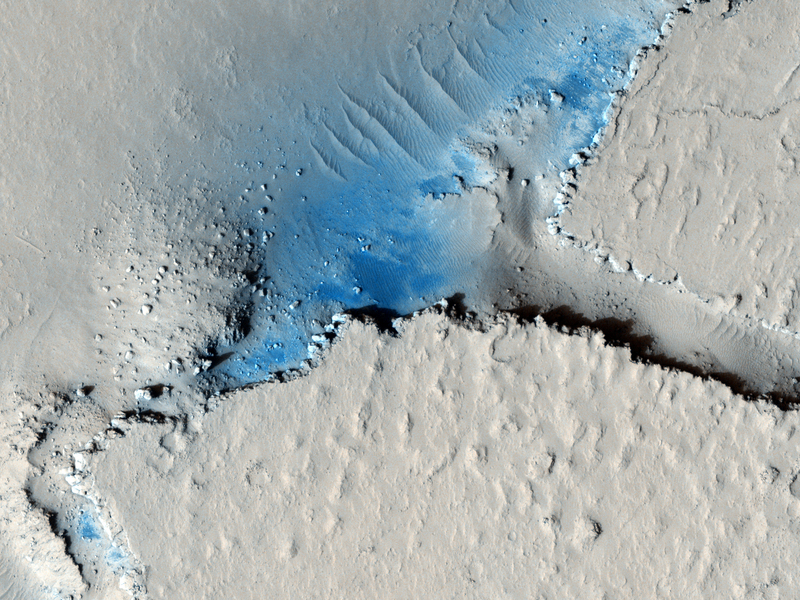 They are contiguous with, and texturally similar to, the flood lavas that blanket much of Elysium Planitia, and, where dilation cracks provide cross-sectional exposure, the uplifted material is rocky. 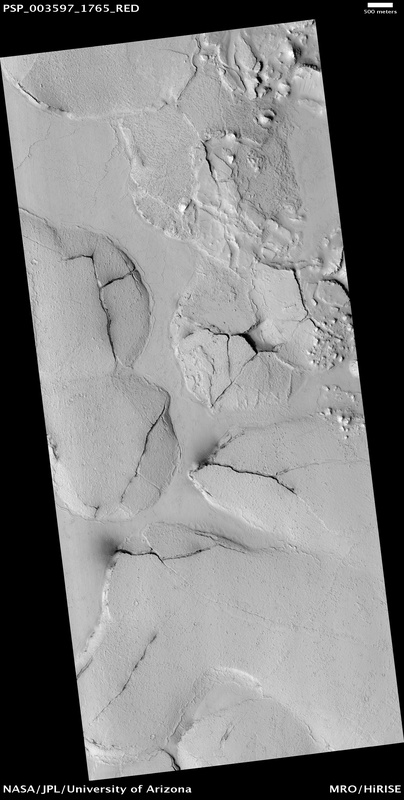 Patches of mechanically weak and disrupted material overlie the rocky mound material. 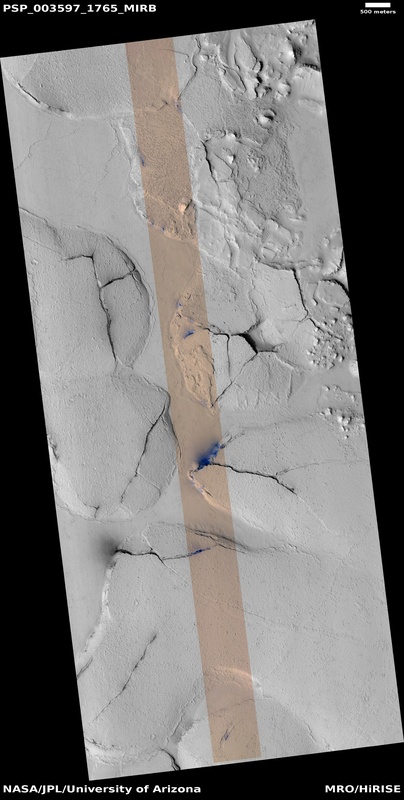 This is particularly conspicuous in the Northeast corner of the HiRISE image. These patches may be remnants of a layer that was once more continuous but has been extensively eroded. Smooth lava plains fill the low-lying areas between the mounds. They are riddled with sinuous pressure ridges. The entire area is covered by a relatively thin layer of dust and sand. 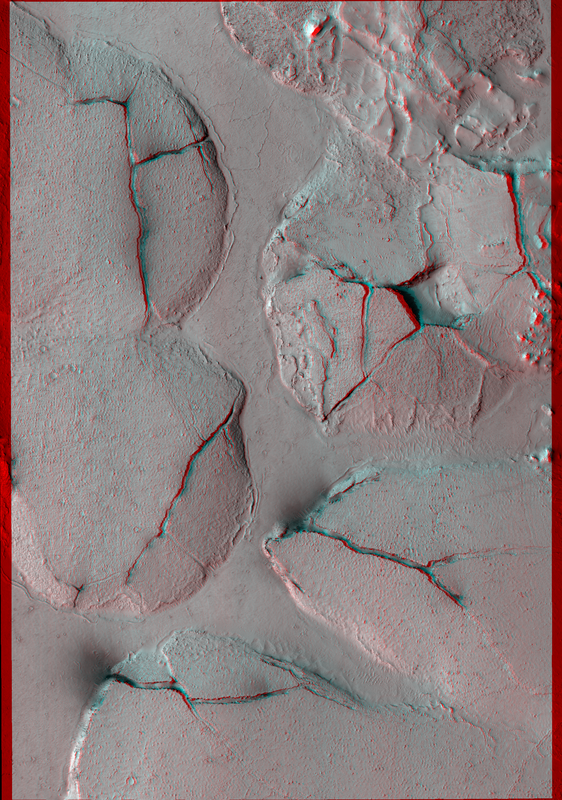 This is a stereo pair with PSP_002542_1765.